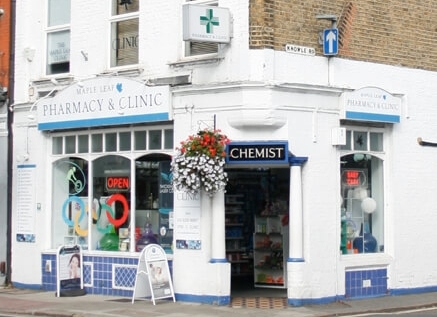 JMW Vicary Limited, an independent, family owned group of pharmacies has just acquired Maple Leaf Pharmacy in Twickenham in a deal negotiated by Hutchings Consultants. The deal takes the number of pharmacy units under the JMW Vicary group to 5 with one more in the pipeline. “The pharmacy was built and opened in 1880 under the name Peakes and was then taken over by a Mr Howells in 1930 and then my parents Paul and Doris Rosenberg in August 1965. 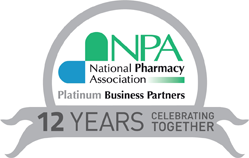 I’ve been involved with the Pharmacy for just over 53 years since 1965! I used to work there after coming home from school. My father unfortunately had Alzheimer’s start in the late 1980s so I took over running it, working blinking hard almost 7 days a week. In 1992, I extended the pharmacy making it 3 times larger. It took about 10 months and we didn’t close the shop, not even for one minute of normal opening times. Since 1992, we stayed open every day including Christmas from 9-9 during the week! The Rosenberg’s will continue to operate a space for healthcare professionals, ‘The Maple Leaf Clinic’ from above the pharmacy. This side of the business was started by Mr Rosenberg in 1989 with homeopathy and has grown since that time to include a wealth of holistic and beauty services alongside a private GP and cardiologist. 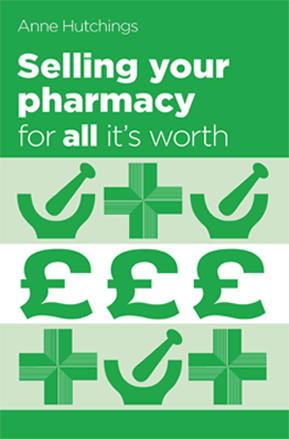 This complimentary business along with JMW Vicary’s strong experience in pharmaceutical services provision will continue to ensure that the Twickenham local community have at their disposal an excellent range of health and medical advice and pharmacy services all available under one roof. We wish Yogesh and Neepa of JMW Vicary Ltd the very best of luck and success as they embark on this exciting new venture.